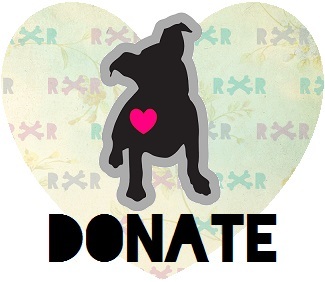 Ruffles Rescue is a 501(c)(3) non-profit, foster-based, no kill rescue organization run entirely by volunteers. Ruffles Rescue does not have a ‘shelter’, so we open our homes and hearts to the dogs who have been forgotten, neglected or abandoned by society. We take pride in helping all breeds and not discriminating based on background, breed, medical condition, or adaptability level. We don’t see breed, color, size – we see a dog in need. Every dog that enters Ruffles Rescue’s care will receive a veterinary exam, routine vaccines, a spay or neuter surgery, microchip, dewormer, flea and tick prevention, and any other medical treatments or grooming that might be required. They will not only receive medical care, they will receive the love, attention and training that they deserve. They will know the true meaning of being loved. Ruffles Rescue is a registered 501(c)(3) Non-Profit Organization! All donations are tax-deductible and greatly appreciated! Ruffles is solely ran off love, dedication and the kindness of volunteers. Any and all help is greatly appreciated. If you would like to make a one-time financial donation and a make a huge difference in the lives of our dogs - you can make a donation via PayPal! If you would like to setup a monthly financial donation, you can do so in a few easy steps via PayPal! Copyright © 2011-2019. Ruffles Rescue. All Rights Reserved.